A couple of Sarcevic’s sculptures. Sadly not in the Modern Art show. This was a hard show to write about, at least without relying too much on the turgid art-world-lingo of the Frieze 2011 article on Sarcevic. 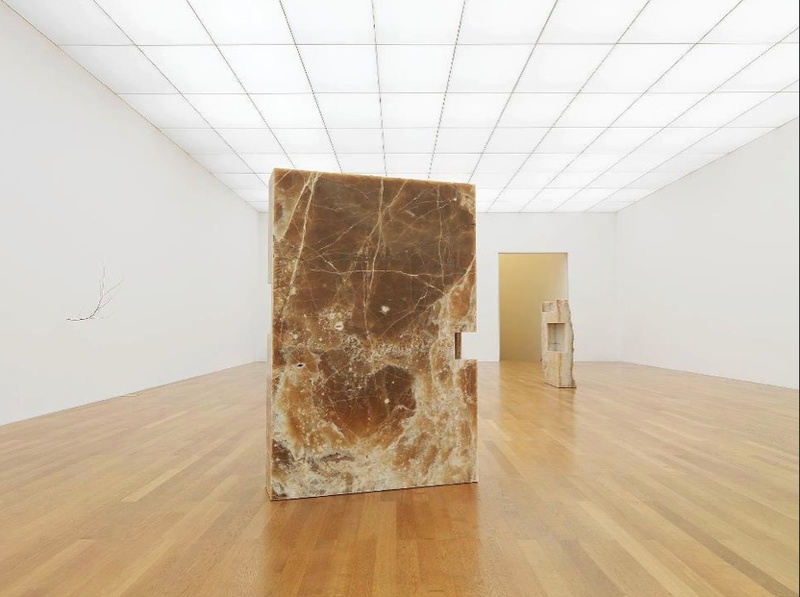 Some of his other work seems to have an architectural, or a social commentary, but the work in Modern Art’s show highlights mainly his interest in materials. The works are mostly made of onyx and wax: one of the works is a polyhedral solid made out of Onyx (the geometric shape is known as a Johnson Solid), while another one is wall-mounted, and a set of onyx shapes arranged in a pattern inspired by the paving on Cairo’s streets. The good things about the show: the onyx itself has a material beauty that one can admire, without knowing anything else about the work or the artist; the wax that has melted and set over the onyx softens the look of the stone and invites the viewer to look closely, as do the small honeycomb like structures on the edge of the marble panels. Perhaps honeycombs are fashionable at the moment – the show at White Cube Masons Yard has one room filled with them. Yet the show, or perhaps the problem is with the press release, leaves one slightly befuddled, and certainly not in any cosmic way. The release refers to “perceptual encounters”, “precise gestural intent”, and “convex polyhedra”, yet does very little to contextualise Sarcevic’s practice. So is this a show just about looking at nice bits of stone, close-up, and then walking over to the British Museum to see some proper marbles? Presumably not – so what relation does this work have with Sarcevic’s other work – which is much more installation based, and in one case, seems to be link with Modernism, Constructivism, and the reaction against these? The only thing I can see (admittedly without having talked to the artist or the curator) is an exploration of geometry, and the links between architecture and sculpture. 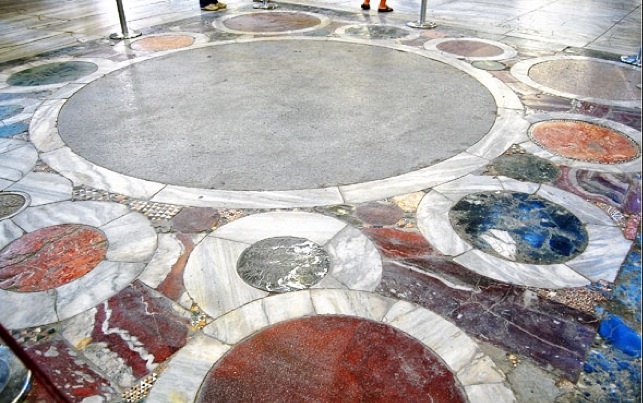 The Hagia Sophia’s “omphalos”, the navel of the world, made of opus alexandrinum, where Byzantine emperors were crowned.